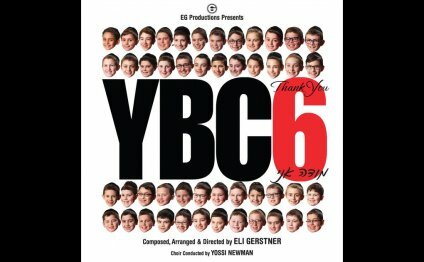 The Yeshiva Boys Choir (YBC) is a contemporary Jewish religious music boys choir. The choir is conducted by Yossi Newman, and their songs are composed by Eli Gerstner. There are more than 50 children in the group. One of them is Yaakov Mordechai Gerstner, who is Eli's brother. They originated in Cleveland, OH, where Yossi Newman was a third grade teacher, and composer of the school choir, and chose talented kids from his school choir to audition for the Yeshiva Boys Choir, contacted his childhood friend from summer camp, Eli Gerstner, who was by then a successful producer, and together gathered the choir and started working on the first album. The first 3 known members were Elimelech Bialo, Dovid Liss, and Yehuda Laib Saks.The rest came shortly afterwards. They are now based in New York, NY, after Yossi moved from Cleveland, and auditioned new choir members. The first two albums and YBC Live I were with the Cleveland choir, and since then has been New York and New Jersey. Their songs are known to be very catchy and the boys have choreography in their music videos and performances. At one point in time there was a pair of twins in the group, Aharon and Moshe Kogan. Other well-known members in the group are Azriel Zylberberg, Ely Shalom, Tani Martin, Yehuda Turner, Aharon Benjamin Ellen, Yitzy Waldman, Moishe Kahan, DJ Wartelsky and others.